Whether it’s a high tech ghost hunt, a candlelight tour of a crumbling old graveyard, or a guided trek down a dark alley where a horrific murder occurred, the paranormal is big business and not just at Halloween. Paranormal-themed events appeal to people fascinated by unsolved mysteries, to those who enjoy folklore and to history buffs too. This sort of program attracts tourists and locals, 20-somethings on dates, groups of middle-aged women on girls’ nights out, scout troops, reading groups and parents trying to entertain bored teenagers. Could a supernatural adventure work in your town or at your attraction? The answer is probably yes. Upfront costs are minimal and creating the tour is fairly easy as long as you keep a few basic principles in mind. It’s best if you can work both paranormal reports and traditional ghost stories into your program. They are not the same thing. "I felt strange the minute I walked into the hotel room. I sensed I was being watched, even though I was certain I was the only one there. After I locked the door, I put my purse on the bed and used the restroom. When I came back, my purse was on the dresser. I’m 100% sure I left it on the bed. I was only in the bathroom a few minutes. If someone had come into my room, I would have heard." Ghost stories, on the other hand, follow classic story structure; they have beginnings, middles and ends. Ghosts are characters in the stories which often feature surprise endings. “And the next morning we found out he died in 1898!” Any tale that includes a mysterious hitchhiker, a prom date with an abnormally low body temperature, or a specter who returns from the grave to identify his murderer falls into this category. Build as much of your tour as possible on local history, legends and reports. You could stand in front of an old abandoned house and tell people about banshees, the Irish harbingers of death. It might moderately interest a few people. But if you can say there are rumors a gruesome murder was committed in the house and neighbors occasionally hear strange noises emanating from the attic, your audience will be snapping pictures and hanging on every word. So where do you find this sort of local information? Start online by entering your town’s name along with search terms like haunted, ghosts, legends, folklore, paranormal and supernatural. Look for ghost hunting clubs or paranormal investigators. See what they’re posting about. Spend some time looking around on Facebook. Put out a call for local ghost stories and tell people why you’re asking. In addition to possibly uncovering some juicy material, your post will start building buzz for your tour. Don’t overlook the library. When I was developing my ghost walk I found a manila folder full of yellowed newspaper clippings. For decades around Halloween the local paper had run a filler article about a haunted house, creepy legend or ghost story. The librarians had carefully clipped and filed each one. There were only a handful of stories that had been recycled over and over, but the file contained enough material to form the basis of a dynamite tour. After you find some material, the next step is to plan the tour route. The best length for a walking tour is about 90 minutes, maybe a little less. Depending on the length of your stories and the distance between stops, five or six stops may be enough. The route needs to be logical. It does not, however, have to be linear. I like tours that end near where they started. The route is basically a big circle. You can go up one side of the street and come back down the other or take a shortcut through an alley. I recommend you script the entire tour. By writing it out, you’ll be more likely to structure the material effectively. Avoid the temptation to include every name, date and tidbit of information. Your audience will be standing outside listening not sitting in a classroom taking notes. Scripting will help you stay on track. It will also help you stay on schedule. Have you ever been on a tour that ran long? Inexperienced guides sometimes think this is a plus. They want to give the participants all the information they possibly can. This is not the way customers view it, however. If the tour was advertised as lasting 90 minutes and you are at the two hour point, stop talking. You’re not giving people more value for their money. You’re disrespecting their time. Paranormal programs work best when the subject is approached seriously and the material is presented with intelligence and good taste. Your customers have probably attended paranormal-themed events elsewhere. And even if they haven’t, it’s a safe bet they’ve watched a TV show, looked at a website or visited a Facebook page on the subject. If your program is silly, superficial or intellectually insulting, your audience will dematerialize faster than the spirits you’re talking about. When you’re presenting implausible material, it’s critical that you come across as reliable and trustworthy. A ghost walk should raise questions in the participants’ minds and stimulate their imaginations, not bore them with obvious tricks. Engaging in any of the following tactics will destroy your credibility. Have someone hide along the route to jump out and startle people – This is a cheap, obvious and pointless maneuver. Plus it’s extremely annoying. Make up stories – Anyone can make up a series of scary stories. 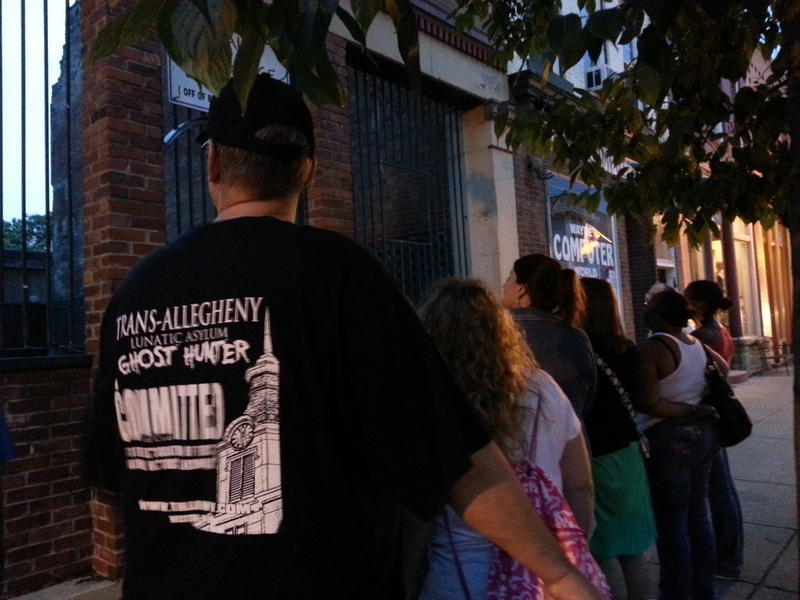 People come on ghost tours because they are looking for authenticity. They want to hear real stories about your town or neighborhood. Pretend to see things – I’ve been on tours where guides say, “Whoa! Did you see that?” Please don’t do this. It’s ridiculous. The mysterious moving curtain – There are many variations on this theme. Tie a string to a rocking chair and make it seem to move on its own. Have someone flit past a window in the empty house at just the right moment, etc. Anyone over eight years old will see through this instantly. 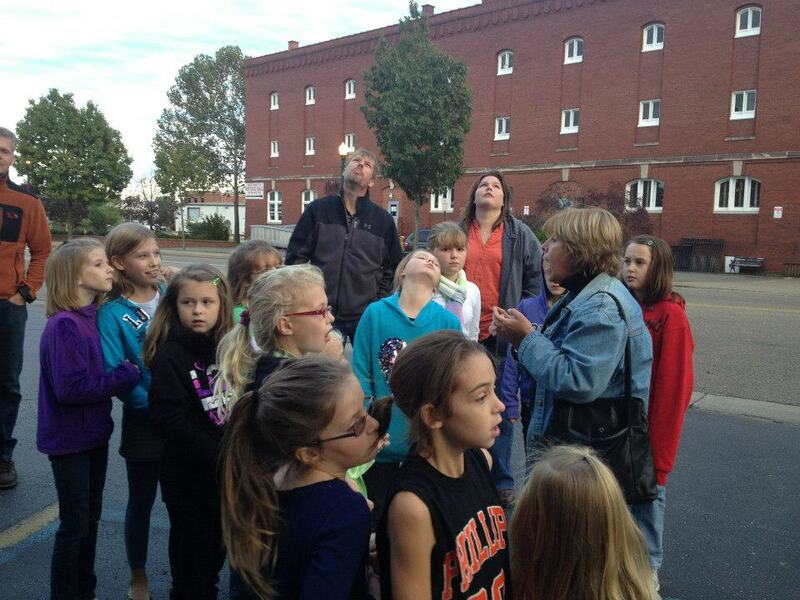 A well-planned ghost walk can operate successfully for years. Consider giving it a try. If you have questions or comments, or want to kick ideas around, I’d love to hear from you. Let’s talk! If you’d like more information on designing successful tours - both supernatural and the more mundane variety - check out our online course Create Walking Tours People Love. Our mission is to help entrepreneurs, historic sites and destination marketers attract more visitors and make more money.